Above: Jeavons teaching international Grow Biointensive ® workshop in Latin America; John at lower right with hat and beard waving. Workshop Presentation in Washington, D.C. Ecology Action has tested and implemented in 151 countries a method to feed successfully hundreds of thousands of families in climates from the hurricane-drenched tropics to the arid regions of Kenya. 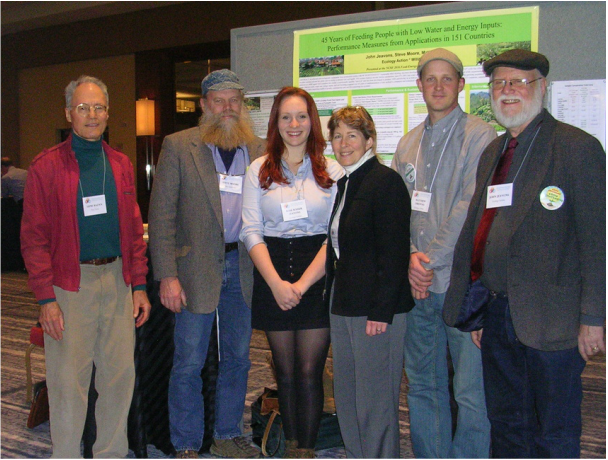 In a workshop at the 2016 meeting of the National Council for Science and the Environment held in Washington, D.C., titled the "Food-Energy-Water Nexus," John Jeavons and two colleagues from Ecology Action, Steve Moore and Matt Drewno, aided by Gene Bazan and Tania Slawecki from Neo-Terra, summarized 45 years of data, and contrasted their method with other agricultural methods and practices in terms of yield per area, calories produced per gallon of water applied, and embodied energy. The three hour workshop on January 21, 2016 was presented in three parts, and pdfs of the powerpoint presentations can be viewed by clicking on the blue text. PART 1. Introduction: Opening comments by Tania Slawecki and presentation by John Jeavons. PART 3. Discussion and Recommendations: We distilled the lively discussion and recommendations into a report for the NCSE. 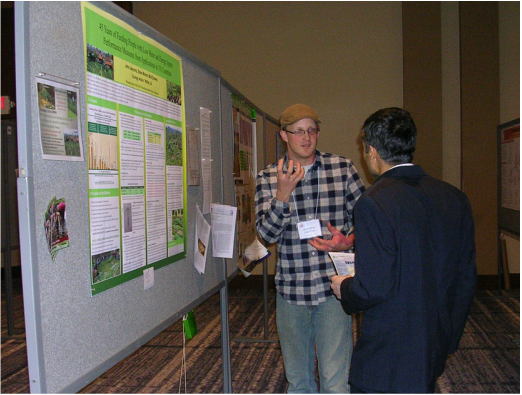 A pdf of the poster displayed at the conference can be found here. Bios of John Jeavons, Steve Moore and Matt Drewno can be found ﻿here﻿﻿﻿. 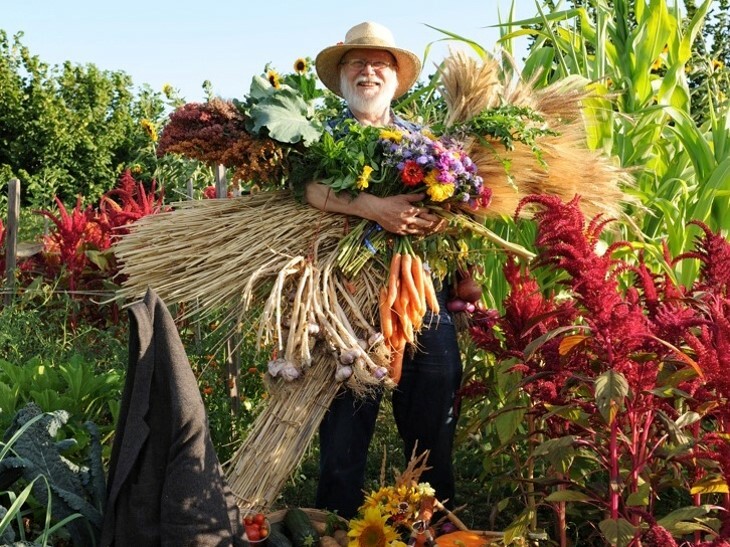 In March of 2015 John gave a talk at MOSES (Midwest Organic & Sustainable Education Service).